Please click on "Play" to view photographs taken at Pattaya Floating Market on the afternoon of Saturday, November 19, 2016. 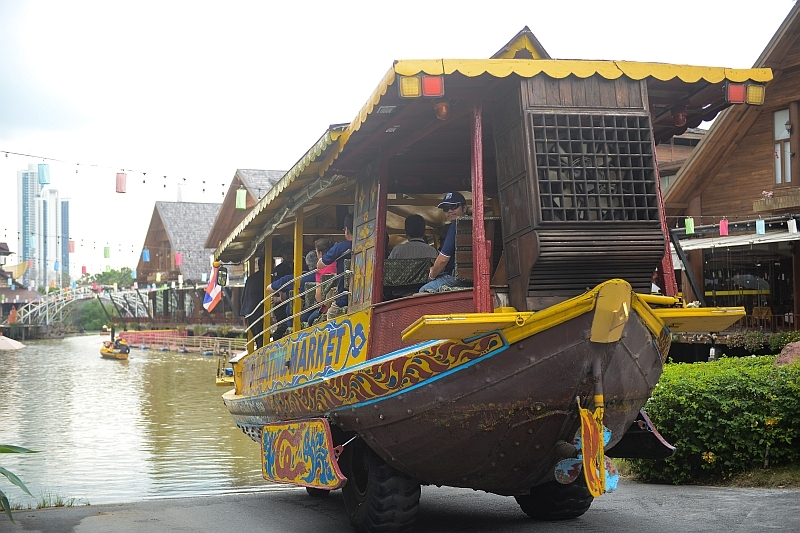 Following lunch on Saturday there was an excursion by bus to the Pattaya Floating Market which featured a boat cruise, a chance to sample various Thai dishes and snacks as well as an opportunity for a brief massage. There were also shopping opportunities for various Thai handicrafts and herbal produce. The video compilation above should give you an idea of some of the attractions there. This tour was followed in the evening by the gala dinner which, as always, is the highlight of each SEANET. Please click on this link to go to the Gala Dinner page.